This morning was a bit crazy, after our regular morning chores, and getting the kids to school, we got home and started getting the house ready for our cub scout den meeting this afternoon. We are meeting together with the Webelos to pass off the cyber chip badge. As I was helping my mother in law in the kitchen, we noticed our neighbor walking down the road with her two cows. It was a strange sight for sure, and when I say walking I really mean she was struggling to control them in the general direction of her house. My husband told her dogs are much easier to walk, and we all laughed, and then we helped her get the cows home. She’s a tiny little bit of a thing, and there was more cow than person, we were glad to help her get them home. It’s finally planting season! Actually, we cheated a little bit and planted or corn earlier under a cold frame, as well as loads of herbs, peas, peppers and tomatoes inside the hoop house. Everything looks really healthy thanks to some fantastic topsoil we got. The bees look great, and I got my first sting of the season. 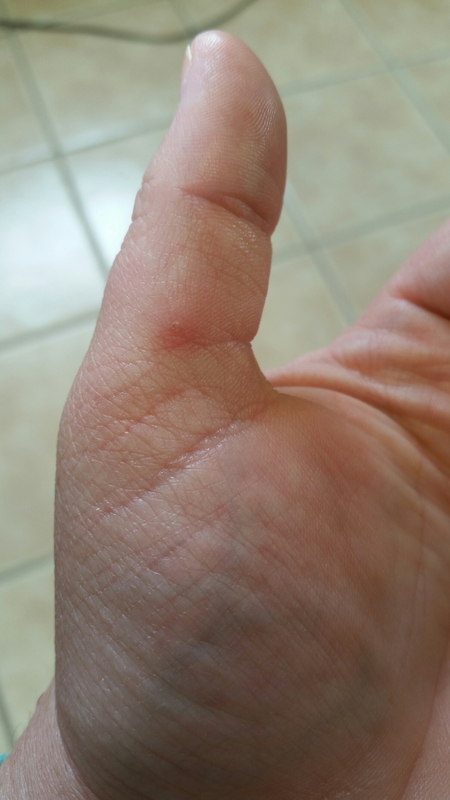 It’s kind of crazy cause I actually stung myself – because I got the stinger in my thumb after I had returned to the house from checking them. I took the veil jacket off, and add I brushed the hay of from feeding the goats I got the stinger in my thumb. Luckily I remembered what we learned when we took our wolf den to the honey farm, and flicked the singer or quickly instead of squeezing the venom into my hand more by pinching it. I was more sad than anything, because I knew after seeing the stinger in my thumb that the poor little bee it belonged to most likely died. 😔 Today the sting site is nice and swollen, and tender. It’s been a while since the last time I was stung by a bee, and I’m sure that this is the first of many. 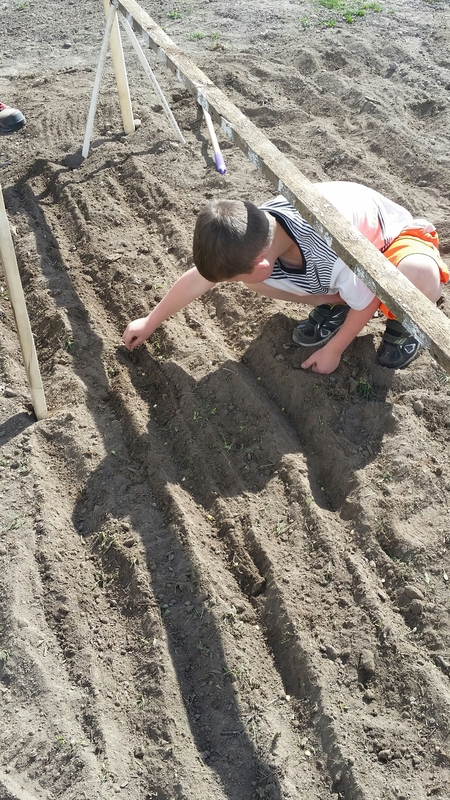 We are going to try to get our cucumbers, beets, and more beans (we planted a few Saturday) in the ground today. Stay tuned for more updates! That’s really interesting. I’ve often felt a little tingle from bee stings left on my bee suit but it’s never developed into a full-blown sting before. I’ll have to be more careful in future. I wonder how long the sting would be ‘viable’ – for sure some of those tingles have come from stings several days old. May be it’s time to wash my bee suit! Haha just wash it by its self so you don’t get propolis on other stuff!